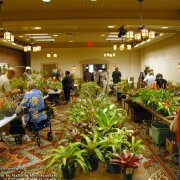 Congratulations to the following winners of the 2017 Bromeliad Society/Houston show “Brilliant Bromeliads” held at Mercer Arboretum on May 20-21. Mulford Foster Best in Show Horticulture, Gordon Stowe, x anamea ‘Shooting Star’. Morris Henry Hobbs Best in Show Artistic, Ruby Adams, with Cryptanthus ‘Martini Olive’. 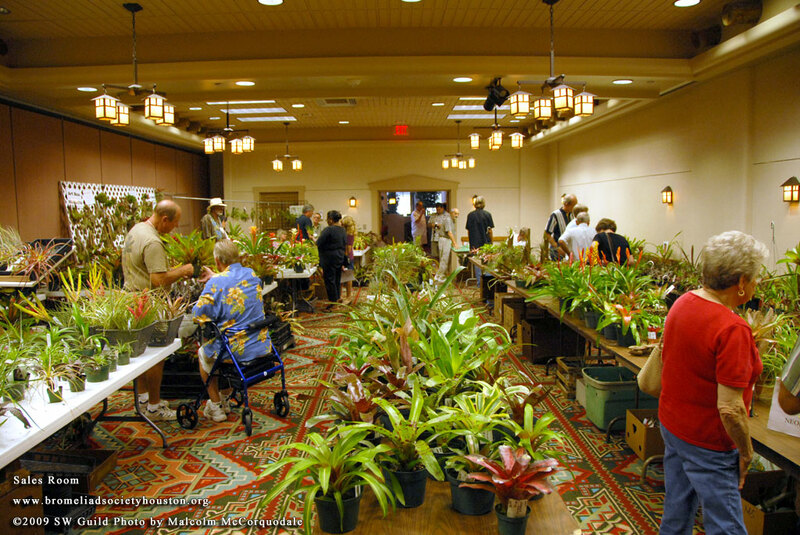 Hobbyist Sweepstakes, David Whipkey, Hoh. ‘Kayla’. Genera Sweepstakes, David Whipkey, Neo. ‘Golden Chalice’. Best of Div. I, Pitcairnioideae, Dyckia ‘Dakota’; entered by Chris Nguyen. Best in Sec. 1A, Single Plant, Dyckia domfelicianensis, David Whipkey. Best in Sec. 1B, Multiple Plants, Deuterocohnia brevifolia , David Whipkey. Best of Div. II, Tillandsioideae, Tillandsia concolor x flabellata, Rick Richtmyer. Best in Sec. A, Single Plant, Till. jalisco monticola, John Schmidt. Best in Sec. 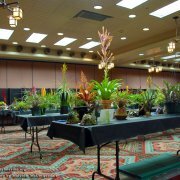 B, Multiple Plants, Vriesea lubbersi, John Schmidt. Best of Div. 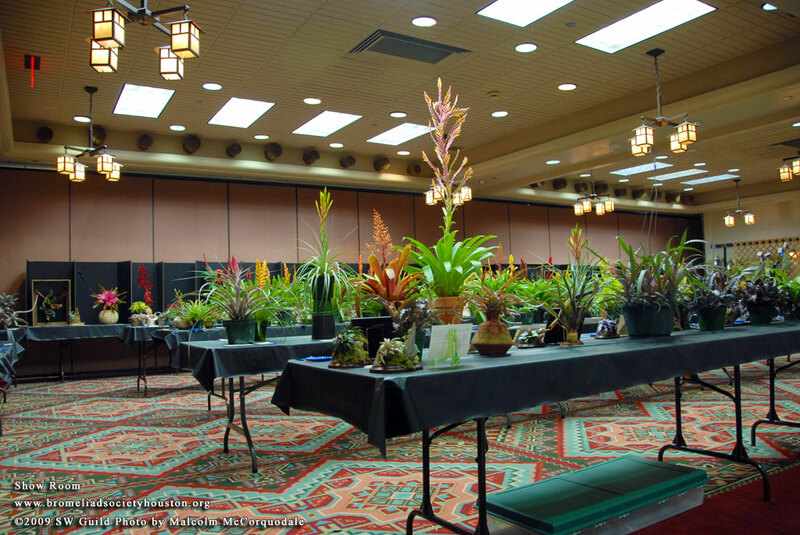 III, Bromelioideae, Hoh. leopoldo-horstil, Cherie Lee. Best in Sec. 3A, Single Blooming, Neo. ‘Kahala Dawn’, John Edmonson. Best in Sec. 3B, Single Foliage, Neo. mooreana, Carole Richtmyer. Best in Div. IV, Bromelioideae, Cryptanthus ‘Jennifer’, John Edmonson. Best in Sec. 4A, Multiple Blooming, Neo. ‘Angel Face’ x ‘Midget’, David Whipkey. Best in Sec. 4B, Multiple Foliage, Neo. pendula x eleutheropetala var bicolor, Carole Richtmyer. Best in Div. V, Intergeneric Hybrid, Neophytum ‘Cosmic Blast’, Carole Richtmyer. Best in Sec. 5A, Single Blooming, x Neophytum Neo. ‘Purple Star’ x Ortho navioides, Carole Richtmyer. Best in Div. VI, Horticultural Displays, Til. andreana, Carole Richtmyer. Best in Sec. 6A, Single Blooming, Neo. pendula ‘Pink’, David Whipkey. Best in Sec. 6B, Single Foliage, Ae. ‘Bert’, David Whipkey. Best in Sec. 6C, Multiple Blooming, Araeococcus parviflorus, Rick Richtmyer. Best in Sec. 6D, Multiple Foliage, Neo. fireball – green form, Carole Richtmyer. Best in Div. IX, Decorative Containers, Bil. ‘Casa Blanca’, Annette Dominguez. Best in Sec. A, “Simple”, Til. streptophylia, John Edmonson. Best in Div. X, Art, Stained Glass/My Bromeliad Collection, Phil Speer.